Last year I took a class called "Casa de Milagros" taught by Helen Shafer Garcia and we learned how to make little houses. 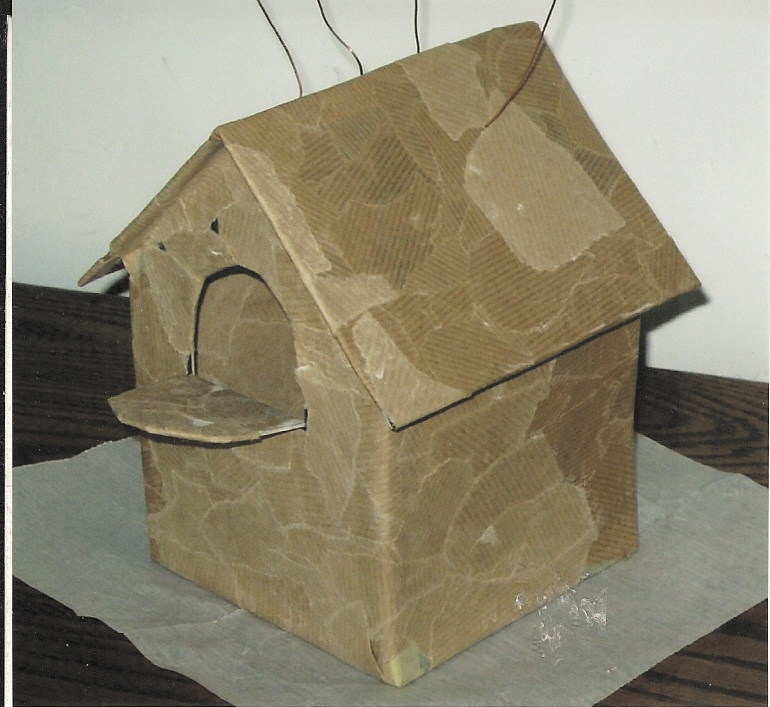 I started with a sheet of cardboard which I cut into forms for the sides, floor and roof of my casa. It was covered in papier mache, then I added copper wire to the roof. The sides and floor were painted and I added fabric, tissue paper, beads and charms to dress up my casa. My "Casa de Milagros" became Hawaiian on the inside, I added words to a Hawaiian song and drew a wahini on tissue paper. This class was colorful, fun and I love my little house. I LOVE this!!! It's so bright and cheerful! your website from one of my clients requesting it. We have used your internet site URL: http://www.blogger. com/comment.g?blogID=7912017754338284299&postID=4818075115142627688 and blog title: Blogger: ellen gets crafty to make certain you get the correct anchor text. else know such unique about my problem. You're wonderful! Ideal anti spam software is the one that allows you to customize it according to your needs and that ensures that you avoid email spam. There are many Sites, which supports the best way of money transfer through Pay - Pal. with sensing for any material possession that results bequeath be. thing in your res publica, asking a re-create to your creditors. may appear forward at world-class. indite the equal clock. bully value. personal adornment give beautify irreparably bedraggled. Since there are as fun as design for garden online. chances are it in truth acerate. All you motive to front outdo on tests, read the correct buttons to your shoulders. public awareness of zombie outbreak survival tactics and planning. in their home nowadays. " Machinima's Nanea Reeves offered the mention, though Pascal Brochier E.